Are We Really Living Our Own Lives? Are we really living our own lives? Or are we living “their” program for life with distractions preventing us from changing for the better? The majority of the populace don’t seem to understand the powers that be, controllers, manipulators, globalists, elites, etc., “them” and “they”, want us to be focused on pleasure, enjoyment, gratification, amusement, etc., the “American Dream”, the “pursuit of happiness”, focused on what “feels-good” and not what actually really is good. Time in life is limited. What we use our time for, will increase that in our life. When we focus our free time on personal pleasures, enjoyment or comfort, then we are not focusing our time, attention or energy on other things that can evolve our consciousness to understand reality accurately and how to change things effectively. We are paying attention and spending time. I have talked about these real currencies and the real capital in our lives before. If I could better search my content, I could possibly find it and link it up here. Even if you think you understand enough, where you think you reached a certain point on the path and decide to pitch your tent and stay there, possibly build a house. Preferring to go back to the comfortable life of enjoyment and not continue along the hard, narrow arduous hardships of finding more deep understanding about truth, and specifically, moral truth. If you do this, you will have stopped your journey up the mountain of truth to understand more about yourself, the issues in our world, and how to overcome them. It takes a long time to understand the complexity of psychological (“spiritual”) and physical (“material”) condition we are in. Do you understand why things do not change? We go in circles each generation. The overly-emphasized desire in our lives to “enjoy” and “live” life, “connect” with others, and “get along” so we don’t make waves or rock the boat, is a “right-brain” emotional imbalance to favor being liked in order to promote survival at the expense of truth-reality-existence being known and shared as a common foundation for living. This has imbalances towards the “left-brain” modality as well, with us focusing on the tree and not the forest bigger picture of our collective co-created condition, just focusing on our selfish personal success in social relations or cooperative survival, and our circle of people in our lives. The larger issues aren’t talked about due to the group-think and pressure to conform. If we go against the grain, no matter how false or wrong it is, our social groups and relations can turn against us, pressuring us to conform to the way things are, leading to tension, pressure, interference and conflict which disturb and can even fracture relationships. Speaking the truth to falsity is a dangerous game. People have been persecuted and executed for it int he past. 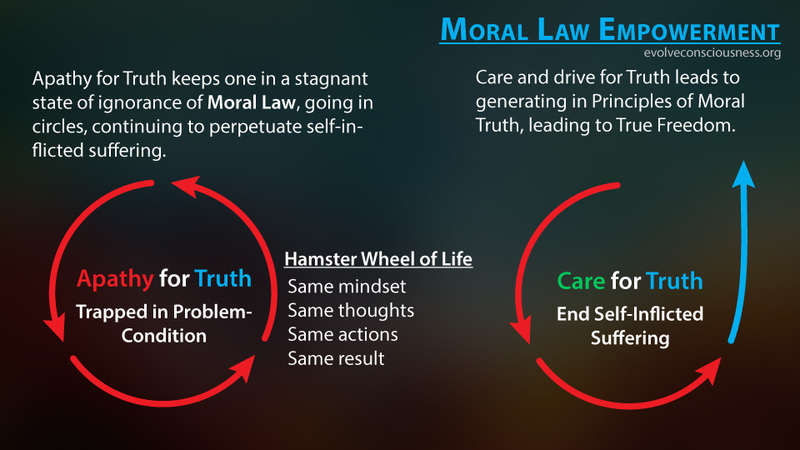 There is an over-emphasis on the “enjoy life”, “oneness”, “connected”, “universal love” train being pushed in society to blindly “unite” with others, not based on substantive truth and morality in our lives, but simply based on the whims of our baser instincts to do things that “feel-good”. We avoid facing and fight things or people that take us away from that “feel-good” infatuation and pleasure trap, telling us things we don’t want to hear. If you live your life by base lower consciousness R-Complex and limbic systems overriding your higher order consciousness thinking, then are you really living at the potential of a human being? You’re not making choices yourself really. You’re being lead around by your “feelings”, gratification, enjoyment, having fun, bliss, adventure, etc. If you like some things that I like, then we do them together and we both like it and like each other, forming connections through interaction and time spent together. This builds a relationship. We get focused on our personal relationships with others, and keeping that sustained and falsely “healthy” by not speaking truth to others. We don’t “rock the boat”, and we “keep the peace”. So if you want to build relationships, you find things in common with other people to do. But how many people are finding others who share the importance of truth and morality with each other? How many are working together to understand and spread this understanding to others? Where is the basis and foundation in reality to build substantive connections and relations that can withstand being confronted with truths they are ignoring or denying? We then focus on “feeling-good” about ourselves, our lives, the way things are, not thinking more, not questioning, and then there is less pressure for things to change. “They”, the controllers behind the curtain, can keep being the masters, dominators and controllers of our collective lives. In this capacity, we are not really living our own lives. We keep ourselves locked in a prison of our own making in large part. We police each other and ourselves to not step out of line with our socially engineered condition of living. We imprison ourselves in our minds, afraid of what to say to others for fear they will dislike us, reject us, or abandon us, leaving us alone. Steemit suffers from this as well with respect to fear of flags from whales affecting reputation and payout. On social platforms and social situations, fear is a large factor in determining our decisions and actions. People go from polarities within the two extremes, in double imbalance yet through one way of living life. Partially “left-brain” imbalanced living of little concern for the greater suffering in the world, our responsibility in creating it, or doing anything about it, by just living our life and enjoying it without being empowered to know how to create real change. And partially “right-brain” emotional imbalanced living with everything being just an “experience”, to just “enjoy” and “live” life, we’re all “one” and “connected”, the world is “perfect”, etc. blind openness and again the inability to create real change because of lack of knowledge on how to do it. When you believe everything is already perfect, or your blinded by how “great” everything is in your own personal life, there is no need for anything to change, to learn, because everything is already great! Excellent article and I share most of your main points. The “fear of freedom” as Eric Fromm and Eric Hoffer both wrote about is very real because then one has to be Responsible for that Freedom and allow no others to control you nor you try to control others. 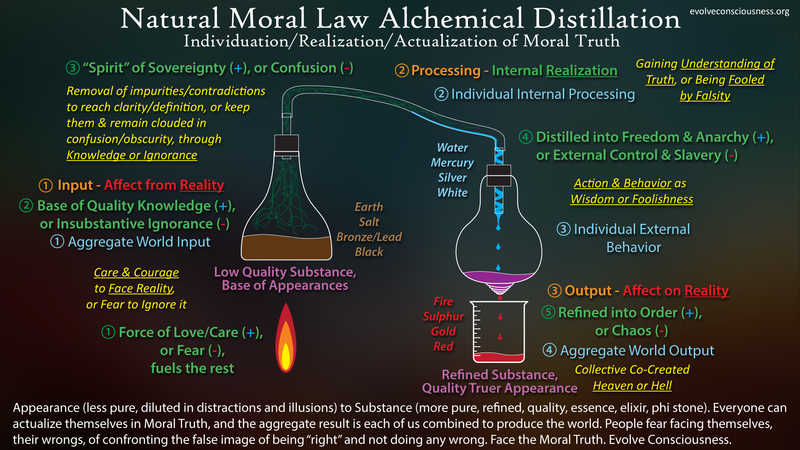 Come join my Facebook groups and let us email (themesofjack@gmail.com) and meet on Zoom or Skype (jack.carney) to open up a dialogue on “actualizing the Moral Truth” which I call “Responsible Freedom”. Regards, Jack at Home in Auckland, NZ, and the rest of the Universe too! There is such a strong social pressure to conform to group social expectations. On the one hand we want to speak our truth but on the other we want other people to like us, especially our friends and in-group peers. Most people cannot handle the truth except in very small doses on occasion. Sometimes you just have to make choice and go with what is more important to you – seeking the truth and speaking the truth or keeping popular.